Lounge and bar on Viking Sky. All photos courtesy of Viking Cruises unless otherwise noted. Travel from Stockholm to Berlin, stopping at every Baltic city in between, without ever repacking your luggage. THE BALTIC SEA – One of my earliest memories took place on my first cruise, the Looney Tunes–themed Big Red Boat. Tweety Bird was tucking five-year-old me into bed (apparently it was okay for adults in cartoon costumes to tuck children in back then) as my family made its way to the Bahamas. I cruised a fair amount growing up, and my first impression never changed much, reaffirmed by Carnival commercials: Cruising is about bottomless sodas, water slides, and snorkeling at port. After studying abroad in Glasgow, I discovered that adventure rarely meant comfort or port of call. For me, it meant spontaneity and cultural immersion, climbing mountains, wandering down alleys, making friends, and lingering in cafes. Cruising, in other words, was out of the question. But when Gentedimontagna offered to send me on from Stockholm to Berlin — that sounded like an adventure. How else would I ever visit Sweden, Finland, Russia, Estonia, Poland, and Germany in nine days? Instead of braving hostels or Ryanair, I’d be in a hot tub or slurping Aperol spritzes through a straw or, preferably, both at once. I decided to leave my skepticism at home. You’ve probably heard of Viking River Cruises, founded 20 years ago and cult followed for their intimate longships, river port access, and focus on destination culture as much as on-board culture. In the world of cruising, Viking is new wave — an alternative to the mainstream. 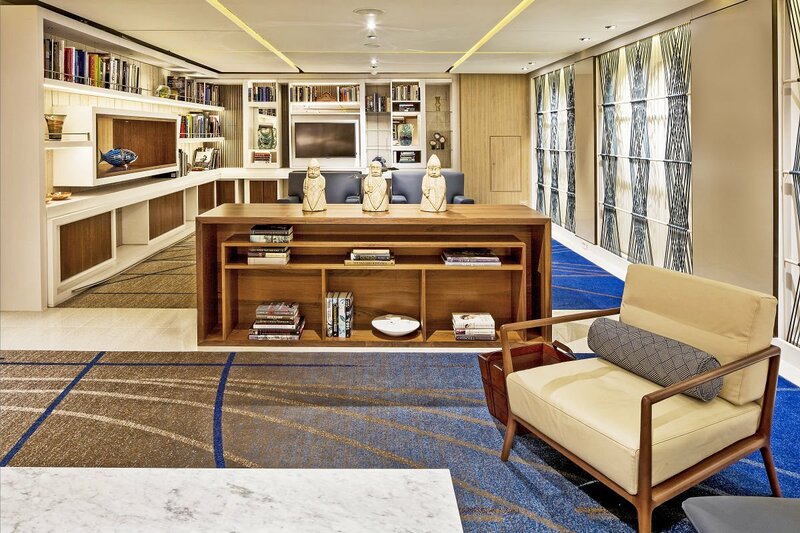 In 2015, Viking debuted ocean cruises and now has a fleet of four “small ships,” as they’re classified by Cruise Critic, which means they can accommodate 930 passengers. 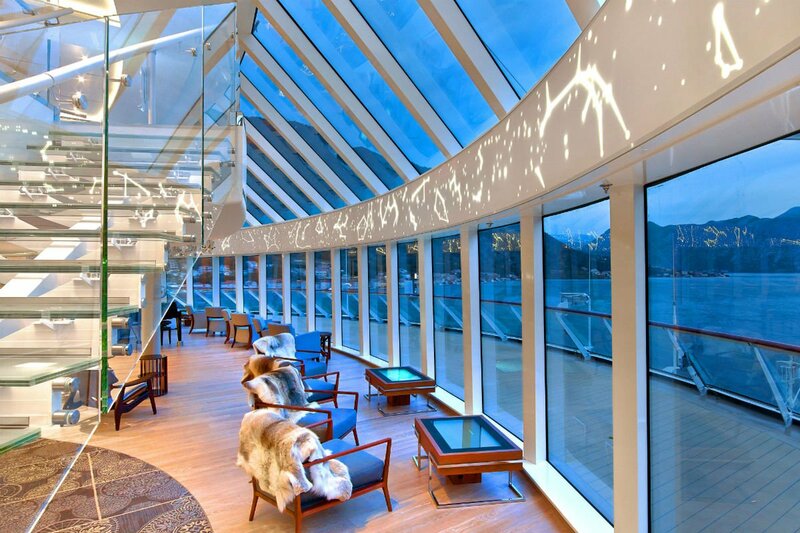 Upon boarding the Viking Sky, which made its maiden voyage last February, I was stunned by its Scandinavian elegance. There was adventure aboard in the art and book collection alone. I thought it a shame we even have to call it a cruise ship. The Sky has nine decks, with library and living room sanctuaries in between its many offerings. There are five restaurants, a deli and pool grill, and, anywhere on board, you’re never far from a bar. 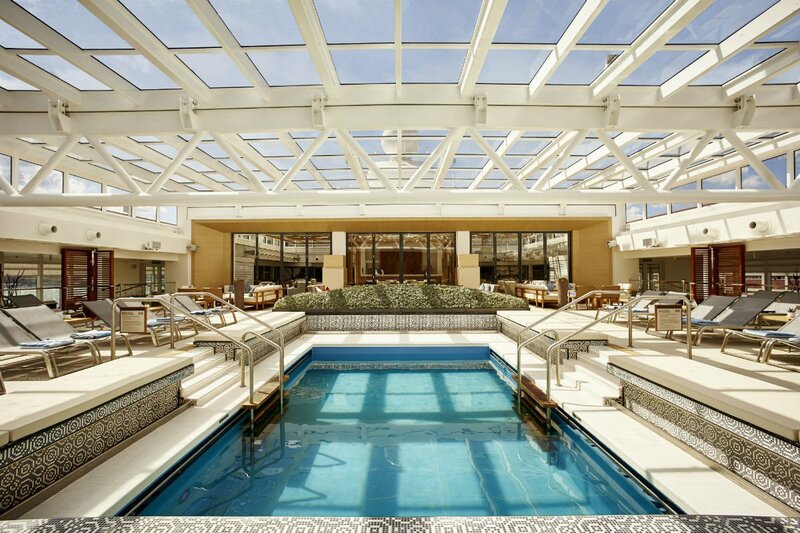 In addition to the main pool, the spa has a hot tub, though the more secluded option is the infinity pool area on the Aquavit Terrace at the back of the ship. The theater and lounge, Torshavn, offers nightly entertainment, including tribute shows to The Beatles and The Rat Pack. The night we were docked in St. Petersburg, a clever cruise director projected James Bond’s From Russia with Love on the pool deck screen and served popcorn under the stars. Other on-board amenities include a large fitness center (I ran once!) and a sports deck with shuffleboard and a putting green (I never saw anyone up there). Because I got most of my exercise by exploring on land, I opted for the spa. I sat fireside in the hot tub and practiced the Nordic detox tradition, alternating between hot and cold, from sauna to cold plunge pool or the Snow Grotto, a Narnian glass box with real falling snow flooded with cool purple light. 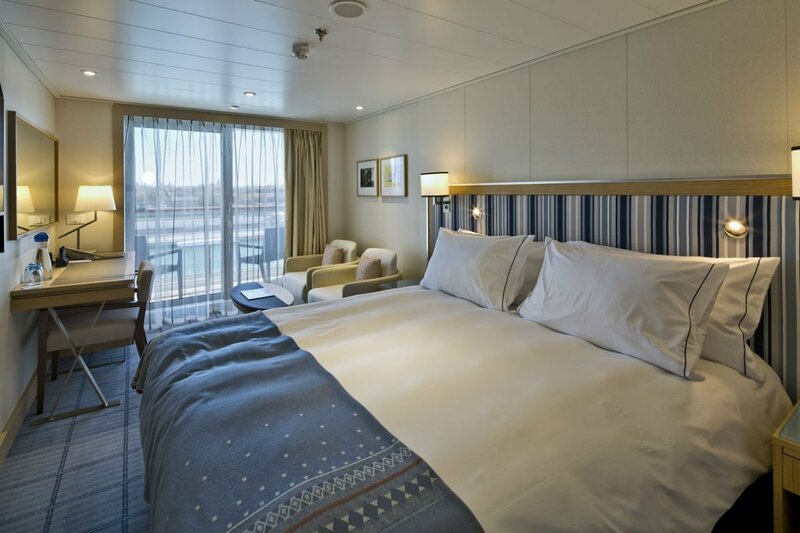 Viking Sky, and her sister ships Star, Sea, and Sun, has 465 staterooms. Every room has a private veranda, my favorite Viking feature. Suites range from the standard Veranda room to the multi-room Owner’s Suite, the largest on board at nearly 1500 square feet. Main pool on the ship. 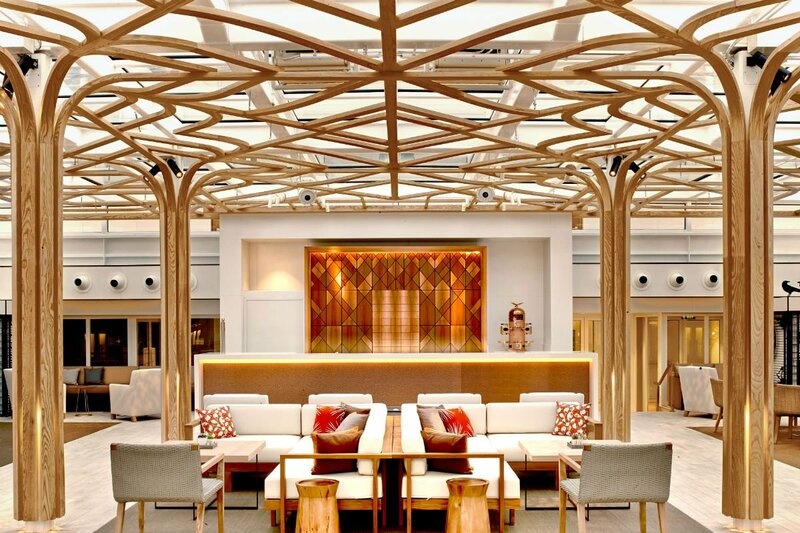 Viking’s Scandinavian roots influence most of the experience, but nowhere more than the ship’s interior design. A palette of pale blues and clean whites layered with light woods makes for bright, understated spaces. While Scandinavian design can occasionally be cold, the rooms are warmed with bold textiles and unexpected pops of color. No book, bauble, or piece of art is space filler but rather deliberate and curated with a great deal of input from Chairman Hagen’s daughter Karine. The windows remain unadorned, becoming their own works of art framing the landscape. If I was skeptical about anything going into this trip, it was the food. “Cruise food” makes me ask a lot of questions: How fresh are the ingredients, really? Where are they sourced? Is there an actual human behind these menus? How does the ship handle its waste? Viking’s culinary director is human and he even has a name: Anthony Mauboussin. The staff process waste, grinding it down and releasing it into the ocean, where it becomes food for fish. (Not the prettiest image, but it’s eco.) And while many ingredients are commercially sourced (there are, after all, more than 1,000 people to feed three meals a day), Viking’s chefs also buy local ingredients from markets at port. Viking Sky has four restaurants for supper: Manfredi’s for Italian, The Chef’s Table for gastronomy, The Restaurant for table-service, multi-course meals, and World Cafe for buffet dining. I like to pick my plate and eat al fresco, so I usually chose the cafe. The ship is filled with beautiful bars. Torshavn has an amazing Armagnac collection, the Explorer’s Lounge hosts live music against the panorama of the sea, and I came to love Aquavit Terrace for its negronis and showy bartender. While I stuck to wines by the glass, Manfredi’s had a beautiful Italian bottle collection that made me swoon. I usually lunched solo at port in some bakery I’d researched or hipster hang I’d been following on Instagram in the time leading up to my trip. At suppertime, either on land or at sea, I’d join fellow journalist friends (one of which was Parisian travel photographer ) to eat, debrief our days, and plan for tomorrow. The ship’s best-kept secret was a Norwegian deli counter named for Chairman Hagen’s mother, Mamsen’s, where they served curls of Norwegian brunost, or brown cheese, atop heart-shaped spiced waffles. Brunost, a “cheese” made with whey that’s actually not cheese at all but a byproduct, is love-hate. I fell in love, soon asking for side orders, hold the waffle. I enjoyed reading in The New Yorker while blissfully eating it for the first time at Mamsen’s. Breakfast. Photo by Kelsey Burrow. Back on board , I slipped into my bathing suit and headed straight for the hot tub at 8 p.m. It was closed for the night. So I went to the main pool, then the infinity pool, then the spa. All closed. Put plainly, Viking guests are older, and the ship’s hours are set accordingly, from the pool to the bar, which is a disincentive for younger travelers and night owls. And while there was a handsome man who led fitness classes, I was bummed that the ship didn’t offer sunrise yoga on deck. The service aboard the Sky blew me away. As someone who works with restaurants, hospitality is meaningful to me, and the Viking crew exceeded my expectations daily. My floor captain noticed that I drink water with ice, so he started bringing me an ice bucket every day. My masseuse was a calming presence and the picture of professionalism. And after I was late to the ship in Helsinki (by one minute, for the record), the general manager gave me a hard time when I’d see him, jokingly looking at his watch and grinning. Crew members became friends — I was fascinated by their stories, how they ended up on the ship — and were the best part of traveling with Viking. 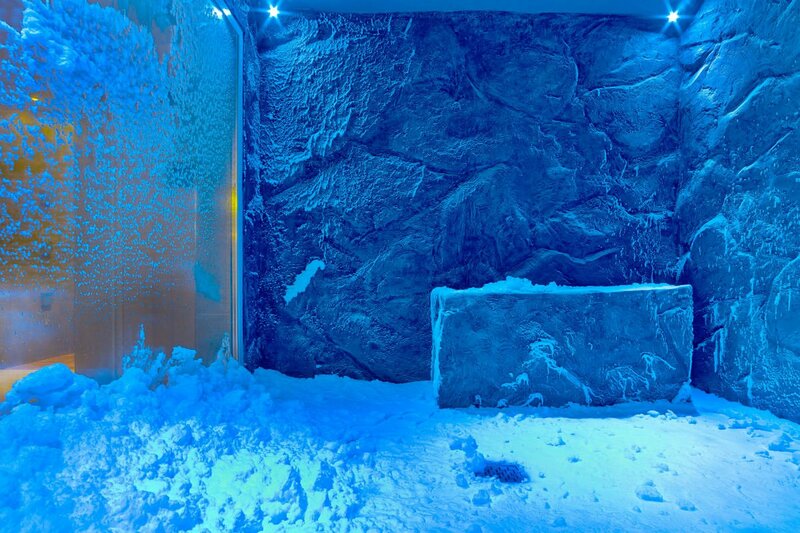 The Snow Grotto in the spa. Sunset over the Baltic Sea. Photo by Kelsey Burrow. While many Viking guests considered the ship itself their main destination, I did not. It was a respite — like any hotel room, luxurious comfort at the end of a long day outside my comfort zone. But in each city we visited, we had mere hours to get to know it, so I was bright-eyed and eager to disembark every morning. 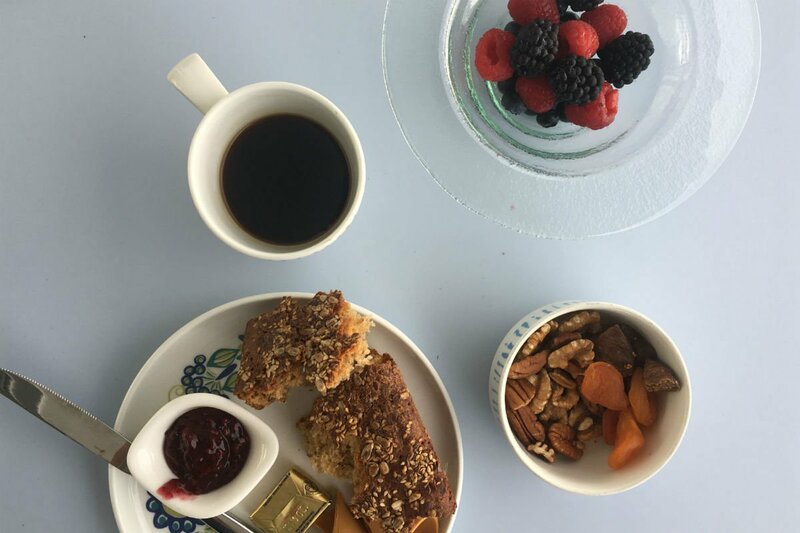 I ate as many meals as possible on land — even waiting to have my first cup of coffee at a local roaster or shop. Why eat a sad croissant on board when you can have a cardamom bun and single-origin coffee at in Stockholm? My deepest experience of a place comes through tasting it, smelling it, talking to strangers, and watching the room and the street — at coffeehouses, restaurants, bakeries, and bars, not onboard a cruise ship. At first glance, the lightning-fast itinerary of my Viking cruise turned me off, but I came to realize how to make the most of every day in a new Baltic town. It was a challenge — to learn a place just in time to leave it — but not a second in Stockholm, Helsinki, St. Petersburg, Tallinn, Gdańsk, or Berlin was wasted. 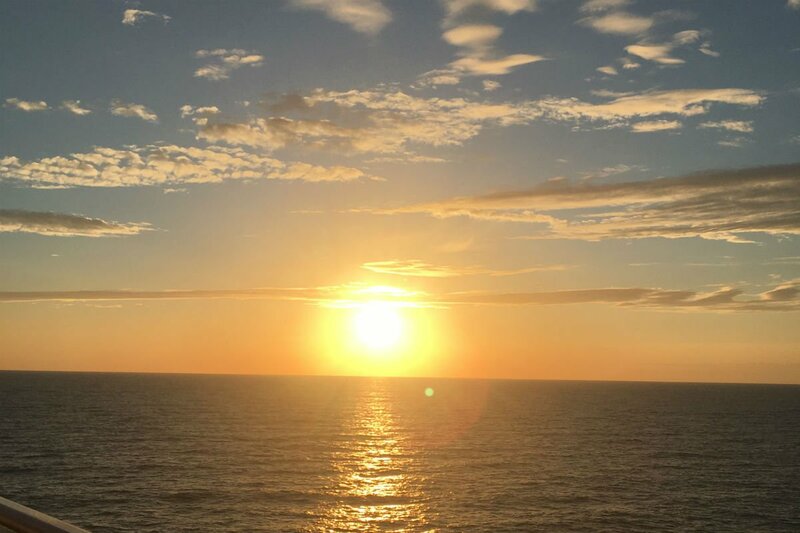 Cruising taught me to cherish every step and every bite — a lesson in setting aside skepticism and embracing the moment. Read about Kelsey's adventures on the and the . Kelsey is a writer and food publicist based in Atlanta. You can follow her on Instagram . She travels for the reminder that the world is much bigger than her own.